Went to the Great Philadelphia Comic Con on Sunday. Got there about 11:30am. No line to get tickets or to get in. 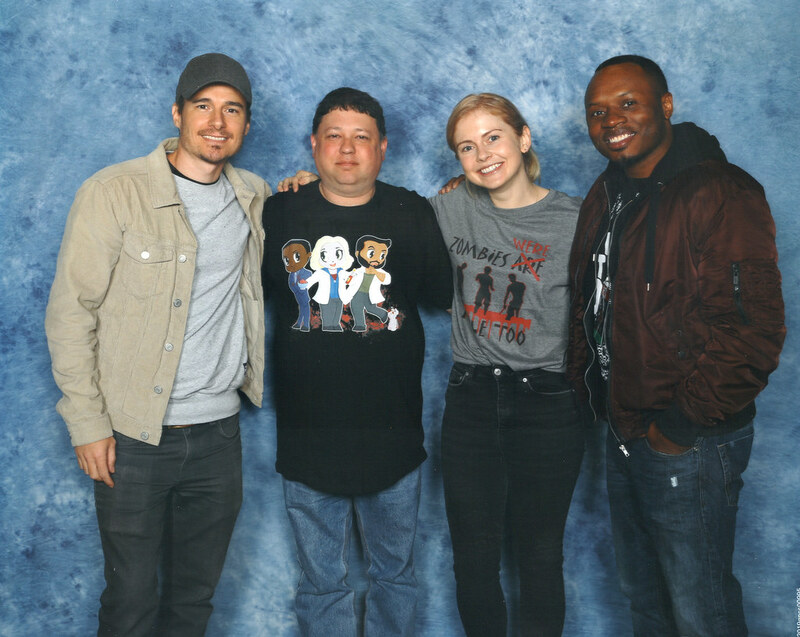 My main wants were Rose McIver, Malcolm Goodwin, and Daniel Bonjour from Izombie. Went right into the celebrity signing area and it was pretty empty. No line for any of the three. I got lucky and got Rose Mciver just before she left her table to go on a break. She was really nice. I was wearing an Izombie shirt that she had never seen before and she asked me about it and liked it. Got her to sign an Izombie banner that i had. Next i got Malcolm Goodwin who also had no line. He also commented about my shirt. I told him i was a big fan of another show he was in Breakout Kings and we talked about that show for a few minutes. He was also really nice. 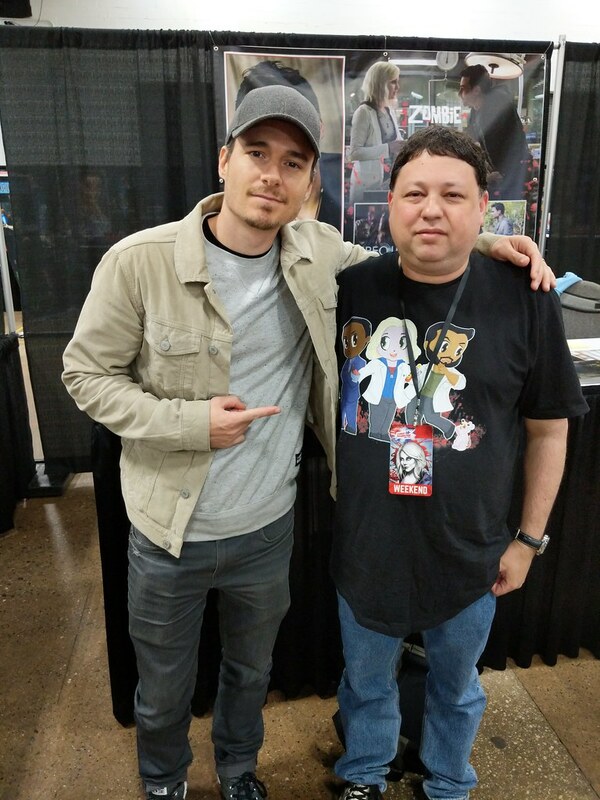 Had him sign the Izombie banner also. Then went to Daniel Bonjour who also had no line. He also like my shirt and was very nice. Had him sign the Izombie banner. He also took a table photo with me for free which was nice. I also bought the pro photo op with the three of them together. I walked around the con for about 30 minutes until it was time for the photo op. Got my photo with the three of them and then i was done for the day and headed home. Quick and easy con, Got what i wanted and no lines. I'd go to this one again if they have anyone i want next time.